I was so worried we weren't able to make the 20 week scan but a good friend of mine said she would take Elliw for me, whilst Mia was in after school club. I had my appointment letter at my dating scan, so it felt like a long time to wait but finally I have had it. The letter told me to drink water one hour before the scan and so I did. When we arrived, we arrived a little early and it was really quiet, we were then called in within 5 minutes of arriving which is a first. I got so nervous walking into the room. Even though baby had been moving a lot more the past week, I had all kinds of other thoughts in my head. The man who scanned me is the same one who scanned me at my dating scan and we really did a have a good laugh with him in this scan. I took my scarf and coat off and I went to lie down on the bed. Took my top up a little and leggings down so he could put the cold gel and then he pressed down with the thing he had. I turned up and there he was. My baby boy. Growing perfectly healthy. He measured 16.2cm from head to bum. He was also a very active baby and the man had trouble getting some photos but got there in the end. The man and my partner talked a lot but we did all laugh, a lot. I didn't mind because I got to see my little boy on the screen for a bit longer and also had a fantastic experience in the scan room. My partner told the man 'I bet you he is a boy' sarcastically (because we had already paid for a 3D gender scan at 14 weeks 5 days). The man checked and yep, he was definitely a boy! We then told him we had gone for an early private gender scan. I was so pleased I had seen again that he was a boy. I was so worried the gender scan had done a mistake! All the clothes I have at the moment are boys clothes. The most amazing thing that happened at the scan was watching baby move on the scan and actually feeling him kicking and moving. Before showing everyone on social media, I waited to show my girls. Mia was super happy and excited. Elliw was over the moon and gave the scan photo a kiss! It's so nice them both sharing the same excitement as me. I will more than likely be booking another private scan when I am around 30 odd weeks. I will also be booked into having growth scans after 30 weeks too at the hospital. I really can't wait until my boy arrives. 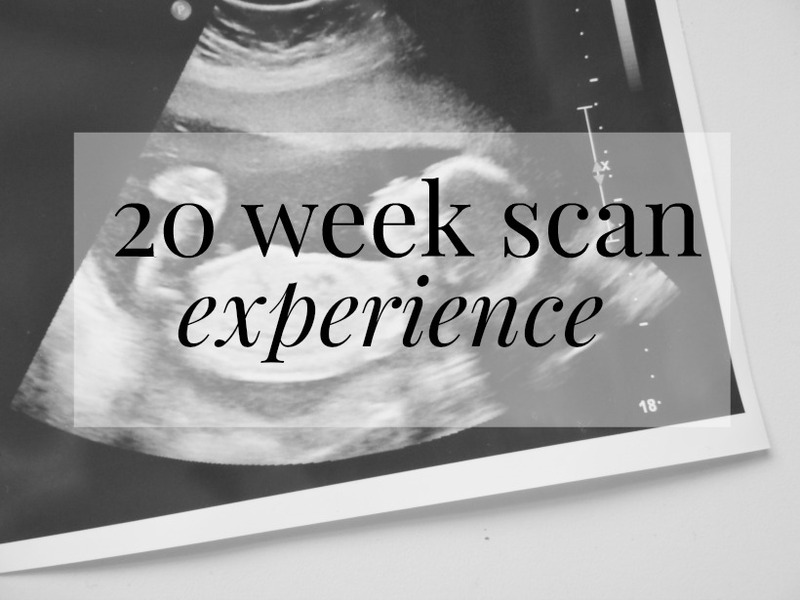 Having a 20 week scan is so exciting and a little nerve wracking too, until everything is confirmed as normal. What a cute photo! it's all very exciting going for the scans especially when you find out what you're having. 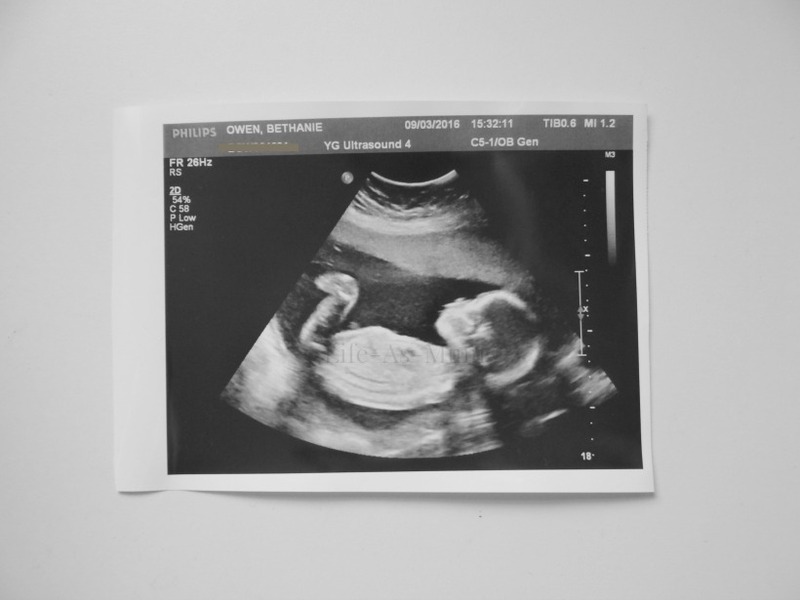 It must have been so cool seeing those scans and seeing the baby move. It really puts things into perspective. Aww so lovely. Its so cute that the girls are so affectionate already! This is so exciting. Congrats again. Enjoy your pregnancy. Aw so glad you got this amazing scan experience you must feel such a close bond to little bubba already.. Hope the pregnancy goes well! Technology has come up so much these days. The scans are getting more advanced. You must have been ealted seeing the baby . Glad to hear your scan went well. It's amazing to see them moving around. Therefore enough sleep may be a should to guide a healthy mode. Ditching dangerous habits is as vital as grasp new habits to guide a healthy mode. habit is one among the key obstacles for healthy lifestyle mode.